Hello, I am glad you made it to my neck of the woods. I was born and raised in Northern NY in a small town on the Hudson River called Corinth. 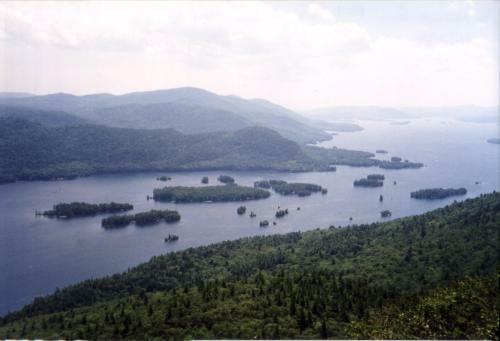 I have hiked a good portion of the Adirondack Park and rafted or canoed many of its rivers and lakes, and climbed several of its mountains. You will find here pictures, history, and quotes concerning the Park. It is a beautiful piece of God's country, the largest wilderness area East of the Mississippi River. However beautiful it is still missing a big piece of its grandeur, the Eastern Timberwolf. 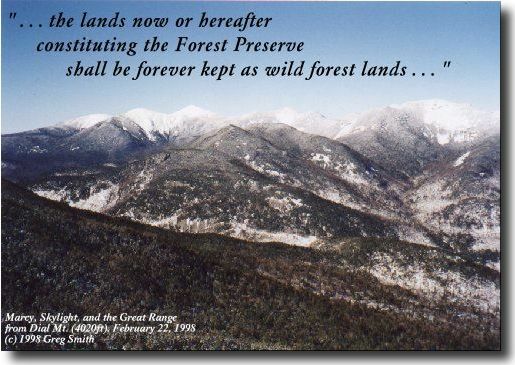 The Defenders of Wildlife are proposing bringing them back to their original range and the Park is part of it. 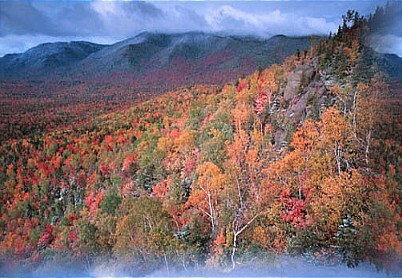 If this comes to be, the Adirondack Park will be that much more beautiful and have much more to offer. The call of the wild would once again echo through its forests something that has not been heard for 100 years. 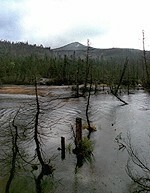 I hope you enjoy your walk through the Adirondack Park. Maybe you will come to love it as I do. they be leased or taken by any person or corporation, public or private". spring of the Hudson River." 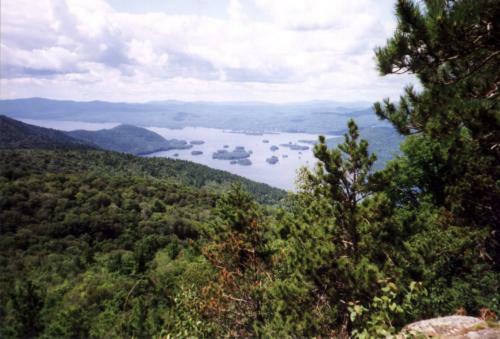 Verplanck Colvin, referring to Lake Tear of the Clouds, highest source of the Hudson River. British established a trading post on Crowne Point, but soon abandoned it. The French then seized the site in 1730. In 1731 the French built Fort St.
Frederic on Crowne Point, which grew into a small town and trading post. 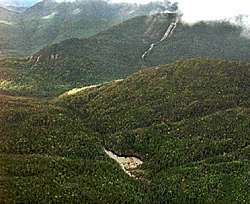 St. Frederic was the first settlement in the Adirondack area. Benedict Arnold led a fleet of ships on Lake Champlain against the English. Adirondacks once again fell quiet. Mt. 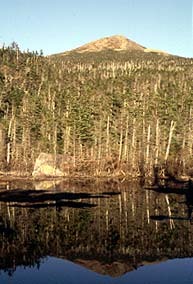 Marcy Highest Peak In N.Y.
How it came to be known as "The Adirondack"
a well-known tribe of Indians who once hunted here may have commerated. above historical fact has induced me to propose the one given above"
Pictures and Quotes used by permission from Greg, visit his site it is awesome.